Based on a true story, The Chess Machine is the breathtaking historical adventure of a legendary invention that astounded all who crossed its path. Vienna, 1770: Baron Wolfgang von Kempelen unveils a strange and amazing invention: the Mechanical Turk, a sensational and unbeatable chess-playing automaton. But what the Habsburg court hails as the greatest innovation of the century is really nothing more than a brilliant illusion. 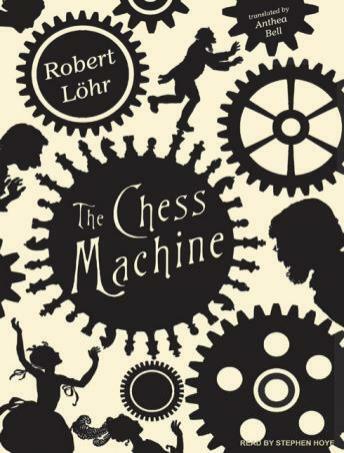 The chess machine is secretly operated from inside by the Italian dwarf Tibor, a God-fearing social outcast whose chess-playing abilities and diminutive size make him the perfect accomplice in this grand hoax. Von Kempelen and his helpers tour his remarkable invention all around Europe to amaze and entertain the public, but despite many valiant attempts and close calls, no one is able to beat the extraordinary chess machine. The crowds all across Europe adore the Turk, and the success of Baron von Kempelen seems assured. But when a beautiful and seductive countess dies under mysterious circumstances in the presence of the automaton, the Mechanical Turk falls under a cloud of suspicion, and the machine and his inventor become the targets of espionage, persecution, and aristocratic intrigue. What is the dark secret behind this automaton, and what strange powers does it hold? The Chess Machine is a daring and remarkable tale, based on a true story, full of envy, lust, scandal, and deception.